Apart from the numerous benefits offered to veterans, there is still programs and benefits that veterans and their families are not aware about. The Department of Veteran Affairs provides many basic healthcare and education benefits to the brave men and women who have served their country. However, there are several other benefits that veterans miss out on since they don’t even know they qualify to receive these benefits. According to a recent survey, more than 65% of veterans or their families are unaware of all of the benefits they are entitled to. Here is a good starting list of some of the benefits that veterans or their families might now be aware about. Please share with a Veteran you know! The Department of Veteran Affairs provides mortgage repayment services to those veterans who have problems making their mortgage payments on time. Available options include helping those who have secured VA loans and are facing problems in repaying them loan. Additionally, Department of Veteran Affairs offers special repayment plans at subsidized or special rates. For more information please visit here. Healthcare could be very expensive in our day and age especially with Obamacare, but often the necessity of having medical care is a must to any individual, especially to veterans who have service connected injuries. The basic eligibility is that if you served in the active military and were separated under any condition other than dishonorable, you may qualify for VA healthcare benefits. Current and former members of the Reserves or National Guard who were called to active duty by a federal order and completed the full period for which they were called on or ordered to active duty may be eligible for VA health benefits as well. For more information please visit here. If you are providing care for an elderly Veteran at home, then there is a program already in place to help you out. Known as VA’s Comprehensive Assistance for Family Caregivers Program, it was started to provide crucial support in caring for our Nation’s Veterans by allowing them to stay in the homes and communities they defended, surrounded by the loved ones they fought for. Caregivers in a home environment can enhance the health and well being of Veterans under this program. The Program of Comprehensive Assistance for Family Caregivers, was established in PL 111-163. The Caregivers and Veterans Omnibus Health Services Act of 2010 has allowed Veteran Affairs (VA) to provide additional supports and services to Family Caregivers of eligible Veterans injured in the line of duty on or after September 11, 2001. For more information please visit here to check your eligibility. Most veterans and their families may not be aware of this. Once a veteran dies, most eligible surviving spouses are eligible to receive basic monetary burial benefits to veteran’s funeral costs. Plus, family can request the national flag to be draped over the casket. Presidential Memorial Certificate can be produced upon request as an honor to the deceased Veteran. Additionally, Veteran Affairs (VA) also covers cremation and burial costs for qualifying veterans. Other death benefits include special memorial headstones. For more information please visit here. Veterans and their families also qualify for free tax preparation services. These military priority services are usually provided by many different companies including Volunteer Income Tax Assistance officers, who are available in majority of military bases nationwide. Individuals working in these offices have experience and vast expertise when it comes to dealing with the nature of military related tax issues. For more information please visit here. Apart from receiving college credits, veterans may also receive certification and employment support services to keep you accountable and help you find meaningful post military service employment. Services offered include employment accommodations, job training, skills coaching, resume development, and related services. Additionally, provided to veterans include helping them start their own businesses, as well as independent living services, especially for the severely disabled ones who cannot handle a conventional employment opportunities. For more information please visit here. 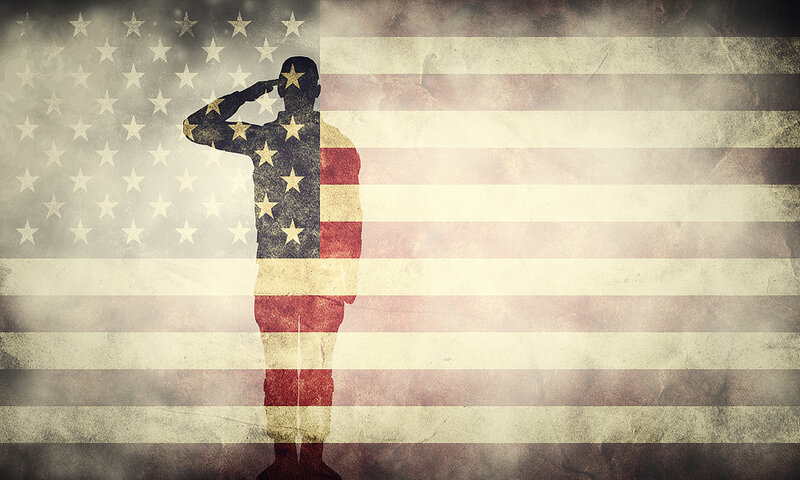 Obtaining life insurance can be very challenging for some Veterans. The situation is even worse if a Veteran had a service-connected injury when they were serving their country. The choices out there can be numerous in the type of life insurances there are. However, Veteran Affairs has numerous affordable and very flexible options of life insurances depending on the situation you may be in. For more information please visit here. Through the Veterans Preference Program, veterans are given special consideration to all eligible veterans searching for federal employment. Disabled Veterans, or those who were in active service military at a certain period, or those who participated in certain military campaigns, are given special point system preference over equally qualified non-veterans. This applies to both hiring and workforce reductions in the federal service. For more information please visit here. The American Corporate Partners has a program that connects veterans with potential Fortune 500 corporate companies that assist Veterans in finding their next career through mentorship. The program is regarded as high success on finding a job in the private sector. Apart from job connections, Veterans also receive on the job one on one career mentoring services for free. These services help to position Veterans better in the job market and build those valuable networking opportunities. For more information please visit here. Veterans through their selfless service and commitment to their country have deservingly earned many great benefits. Some of these benefits mentioned above are just a few small benefits out there that can be easily missed. Take advantage what is available and earned by you, because veterans before you have fought not only overseas, but also here at home to keep and pass down the benefits to future generations. Find your closest VA here.